BOARDING One meal per day, at caffeteria/restaurant, at the cost of the hosting organization. LODGING Student dormitories, at the cost of the local organization. 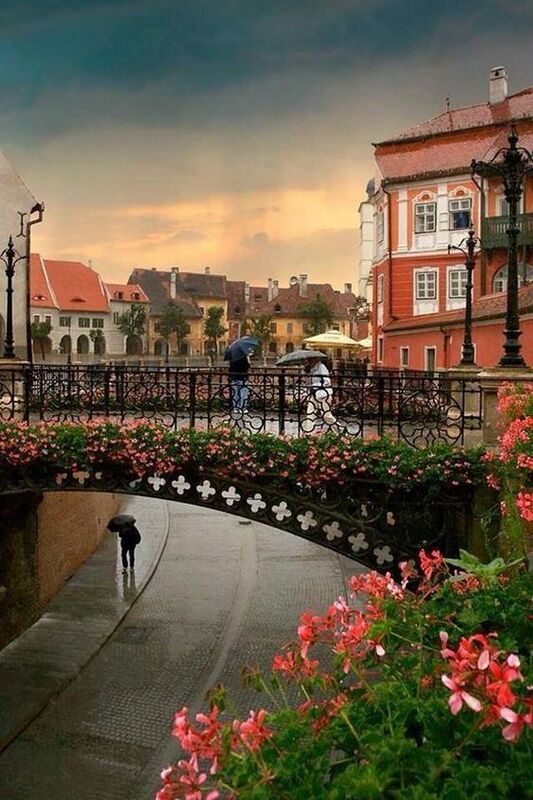 Sibiu is a charming town in southern Transylvania, Romania, 282 km far from Bucharest, known also under the name Hermannstadt,. Sibiu represents one of the most important cultural centers of Romania and was designated the European Capital of Culture for the year 2007, along with the city of Luxembourg. Several festivals are organized yearly in Sibiu, the most prestigious of them being: the Sibiu International Theatre Festival, organized each spring at the end of May, the Medieval Festival organized every year in August, which revives the medieval spirit of Transylvania, The Artmania Festival, held every Summer and of course Sibiu Jazz Festival, the oldest jazz festival in Romania (more than four decades). The Faculty of Medicine in Sibiu was founded in 1990. The Faculty has been constantly concerned with developing high quality medical training that meets the national, as well as international standards of competitiveness (in accordance with the European Union`s requirements) so that the degrees are acknowledged all over Europe. Over 1,300 students are currently involved in undergraduate and post-graduate study programmes and they benefit from the expertise of 138 full-time members of the teaching staff, The Faculty is entitled to organize doctoral studies, MA courses and postgraduate programmes. The city also houses one of the largest and most developed private hospitals in the country, Polisano. Exchange students are offered one free lunch a day (in working days). Accommodation si provided for free in the students' dormitories, in rooms of 1, 2, 3 or 4 students. The dormitories are not that far to the city center and to the hospitals. Students have access to cooking facilities and laundry facilities. Sibiu is well served in terms of transport and infrastructure. You can choose to fly directly to Sibiu on Sibiu International Airport or you can choose to fly to another Romanian town and get to Sibiu by bus or train. Tursib is the city's internal transportation system operator which offers reliable services (2 lei / 0.45 EUR one ride/way ticket). All Tursib bus stops are equipped with plates indicating the time each bus on each route stops in that particular bus stop. Taxis are still relatively inexpensive and widely available. Prices per km are marked on the outside of the car. You can also rent a car or a bicycle in Sibiu. Train o buses are the most comfortable ways to travel to other places outside Sibiu. The Social program is lots of fun. The students have the chance to meet the other incomings who are in the country at the same time during the national trips. The parties won’t miss, the most interesting one being the party where the students will have the chance to present some of their culture through cuisine and not only (“Traditional food and drink party”). Also, our city has to offer numerous restaurants, clubs, and pubs, a cinema, theatres and a philharmonic. In the hot summer days you can choose to go to one of our swimming pools, or play sports such as tennis, football, bowling or even paintball. Another important site is The "ASTRA" Museum of Traditional Folk Civilization, Situated in the natural reservation of Dumbrava Sibiului. It represents an Open Air Museum which spreads across a large area covered by a permanent exhibition, the largest open air ethnographic exhibition in Europe. Bring your own scrubs, stethoscope and hospital shoes.